Our paper to this years International Conference on Self-Adaptive and Self-Organising Systems has been accepted for presentation. The paper is entitled Goal-aware Team Affiliation in Collectives of Autonomous Robots and investigates the potential of robots to dynamically affiliate themselves with a team. This is done without explicit communication or interaction but based on aggregated information from the network allowing each individual to derive the current state of achieving their teams goal. Importantly the goals of the different teams are complimentary. Our paper proposing “An Architecture for Self-aware IoT Applications” got accepted to this years IEEE flagship conference ICASSP — the International Conference on Acoustics, Speech and Signal Processing. The paper was co-authored with Prof. Bernhard Rinner from Alpen-Adria-University Klagenfurt. Our paper, entitled “The Future of Camera Networks: Staying Smart in a Chaotic World”, has been accepted for oral presentation at the special session on Target Tracking and Person Re-Identification at this years International Conference on Distributed Smart Cameras. The paper was written in collaboration Peter Lewis, Richie McBride, and Xin Yao. We are excited to discuss our vision of future camera networks with colleagues at ICDSC! My paper investigating the differences between centralised, decentralised and self-organised approaches on geometric coverage using smart cameras has been accepted for presentation at this years Conference on Self-Adaptive and Self-Organizing systems (SASO). The paper is entitled Self-organized Coverage Optimisation in Smart Camera Networks. Our paper on the resilient coordination of (artificial) birds to fly in a V-formation has been accepted for presentation at the Fifteenth International Symposium on Automated Technology for Verification and Analysis. The paper is entitled Attacking the V: On the Resiliency of Adaptive-Horizon MPC and has been written jointly by Ashish Tiwari (SRI), Scott A. Smolka (SUNY Stony Brook), Lukas Esterle, Anna Lukina (TU Wien), Junxing Yang (SUNY Stony Brook) and Radu Grosu (TU WIEN). Our paper entitled “Online Multi-object k-coverage with Mobile Smart Cameras” has been accepted for presentation at the International Conference on Distributed Smart Cameras. The paper discusses mobile smart cameras and how to coordinated them in a distributed fashion in order to ensure objects to be covered by at least k cameras at the same time. This extends the well known Cooperative Multi-Robot Observation of Multiple Moving Targets problem (CMOMMT). The paper has been written in cooperation with Peter Lewis. After joining a Dagstuhl Seminar in January 2015 on ‘Model-driven Algorithms and Architectures for Self-Aware Computing Systems’, we started working on a book on self-aware computing systems. Almost 2 years later, this book has finally been released! The book is entitled Self-Aware Computing Systems has just been released with Springer and gives a definition of self-aware computing systems, discusses individual as well as collective self-aware computing systems, what is needed to achieve them and how we can transform current computing systems towards self-aware ones. The chapters of this book are organized into five parts: Introduction, System Architectures, Methods and Algorithms, Applications and Case Studies, and Outlook. Part I offers an introduction that defines self-aware computing systems from multiple perspectives, and establishes a formal definition, a taxonomy and a set of reference scenarios that help to unify the remaining chapters. Next, Part II explores architectures for self-aware computing systems, such as generic concepts and notations that allow a wide range of self-aware system architectures to be described and compared with both isolated and interacting systems. It also reviews the current state of reference architectures, architectural frameworks, and languages for self-aware systems. Part III focuses on methods and algorithms for self-aware computing systems by addressing issues pertaining to system design, like modeling, synthesis and verification. It also examines topics such as adaptation, benchmarks and metrics. Part IV then presents applications and case studies in various domains including cloud computing, data centers, cyber-physical systems, and the degree to which self-aware computing approaches have been adopted within those domains. Lastly, Part V surveys open challenges and future research directions for self-aware computing systems. 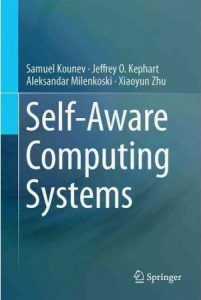 It can be used as a handbook for professionals and researchers working in areas related to self-aware computing, and can also serve as an advanced textbook for lecturers and postgraduate students studying subjects like advanced software engineering, autonomic computing, self-adaptive systems, and data-center resource management. Each chapter is largely self-contained, and offers plenty of references for anyone wishing to pursue the topic more deeply. Our paper entitled ARES: Adaptive Receding-Horizon Synthesis of Optimal Plans has been accepted for publication at the ETAPS 23rd International Conference on Tools and Algorithms for the Construction and Analysis of Systems (TACAS). The work was done in collaboration with Anna Lukina, Christian Hirsch, Ezio Bartocci, and Radu Grosu from Technische Universität Wien, Austria, Junxing Yang and Scott A. Smolka from Stony Brook University, New York, and Ashish Tiwari from SRI. We introduce ARES, an efficient approximation algorithm for generating optimal plans (action sequences) that take an initial state of a Markov Decision Process (MDP) to a state whose cost is below a specified (convergence) threshold. ARES uses Particle Swarm Optimization, with adaptive sizing for both the receding horizon and the particle swarm. Inspired by Importance Splitting, the length of the horizon and the number of particles are chosen such that at least one particle reaches a next-level state, that is, a state where the cost decreases by a required delta from the previous-level state. The level relation on states and the plans constructed by ARES implicitly define a Lyapunov function and an optimal policy, respectively, both of which could be explicitly generated by applying ARES to all states of the MDP, up to some topological equivalence relation. We also assess the effectiveness of ARES by statistically evaluating its rate of success in generating optimal plans. The ARES algorithm resulted from our desire to clarify if flying in V-formation is a flocking policy that optimizes energy conservation, clear view, and velocity alignment. That is, we were interested to see if one could find optimal plans that bring a flock from an arbitrary initial state to a state exhibiting a single connected V-formation. For flocks with 7 birds, ARES is able to generate a plan that leads to a V-formation in 95% of the 8,000 random initial configurations within 63 seconds, on average. ARES can also be easily customized into a model-predictive controller (MPC) with an adaptive receding horizon and statistical guarantees of convergence. To the best of our knowledge, our adaptive-sizing approach is the first to provide convergence guarantees in receding-horizon techniques.